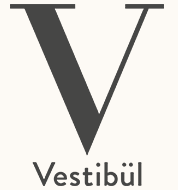 Unique & exclusive – Christian Domschitz, Head Chef of the Vestibül Restaurant at the Burgtheater and one of Austria’s most renowned chefs, presents 64 of his best dishes as an exclusively packaged Recipe Box. This comprehensive collection includes long-standing classics that have earned him a loyal following for many years, as well as numerous new interpretations of traditional dishes. "The most enjoyable moment for me is when my guests are delighted by my culinary creations. Why shouldn't it be possible to recreate this moment at home? This unusual collection of recipes is sure to inspire you. I wish you the best of luck! "